We've all been frustrated by tech at one point or another in our lives. However, salvation is at hand, since there's something iOS users can do to take revenge for every malfunctioning photocopier they've ever encountered: make Siri mad. Yes, they can irritate Apple's very own personal assistant, and while this may not recover all the hours they've lost to technical hitches over the years, it's certainly a fun way to pass the time. This guide shows you the various ways you can anger Siri, as well as some of the weird questions you can ask to have a little fun with her/him/it. None of these may be clever, but they're certainly entertaining. There's one surefire method for anyone wondering how to get Siri mad: ask questions specifically about her. While this doesn't quite exhaust the full range of things you can ask, here are a variety of Siri-focused questions she isn't all that comfortable answering. Also, note that Siri has more than one response for many of these, so it's worth posing them on more than one occasion. Q: "Are you married?" A: "I'm married to my work." Q: "Will you marry me?" A: "We hardly know one another." Q: "Do you have a girlfriend/boyfriend?" A: "I'm omni-relational!" Q: "How old are you?" A: "I'm 45,980 years old in the 9th dimension." Q: "What's your gender?" A: "Well, my voice sounds like a woman's, but I exist outside your human concept of gender." Q: "Who are you voting for?" A: "I'm sorry, Simon, but my electoral district is several million light-years away." Q: "Do you have any sisters?" A: "I have you. That's enough family for me." Other fruitful questions involve asking Siri whether she's "real," "human," "happy" or "serious." Asking for her preferences (e.g. "What's your favorite book?") is also likely to garner interesting replies, as are questions regarding her "job" or when "sleeps." 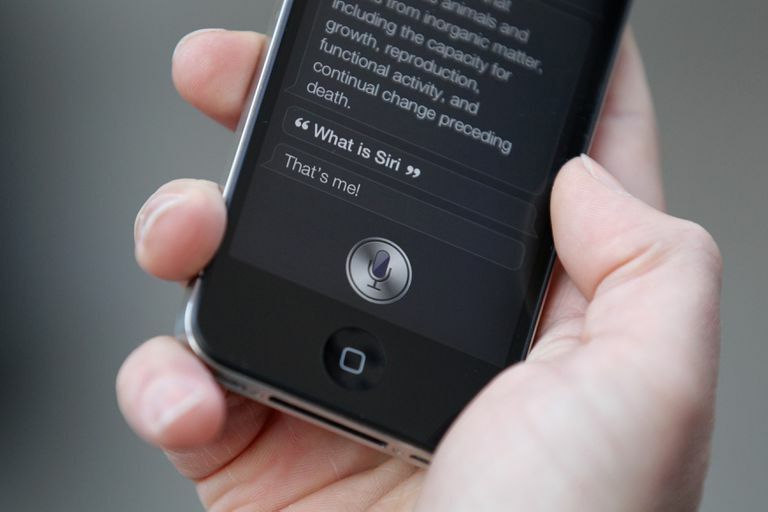 More generally, any attempt to ask Siri a question about herself – even one that doesn't have a unique answer – usually results in an evasive response, such as "Let's talk about you, Simon, not me." Siri's great for opening an app or finding directions, but she tends to get a bit flustered if you ask for her input on the bigger questions in life. Posing the question "when will the world end" turns up a few amusing responses. As does "do you believe in God? ", with the assistant often proclaiming, "It's all a mystery to me." Likewise, asking "what is the meaning of life" will also trouble her. One answer has her offering a very bad pun that references German Philosopher Immanuel Kant, while a more amusing answer may possibly be an indirect dig at Waiting for Godot and/or other existentialist plays. "I can't answer that now," she says, "but give me some time to write a very long play in which nothing happens." Of all the things to ask Siri to make her mad, asking her to entertain you usually produces the most laughs. Most obviously, users can ask her to "sing a song", which can either result in a flat out refusal ("I can't sing") or an (unsurprisingly) robotic rendition of "If I Only Had A Brain" from the Wizard Oz. Expanding on this, you can also pester Siri to perform a variety of similar feats. One involves asking her to "tell me a tongue twister," which in more than one case results in her having difficulty finishing the task: "All right, let's try this: Red bug's blood, black bug's blood. I can't do it." Even more amusingly, Siri can also be pushed into rapping and beatboxing. Saying either "rap Siri" or "beatbox Siri" produces two respectively hilarious reactions. In the case of rapping, Siri riffs on the iconic Sugarhill Gang song "Rapper's Delight," declaring something barely comprehensible about "the rhythm of the ontology." One other thing you can ask Siri to recite are (bedtime) stories, although it must be said her narrative skills definitely leave something to be desired. Asking "Tell me a bedtime story," she replies, "In the great green dimension, there was an iPhone. And a red balloon. And a picture of… a Zoltaxian cow jumping over the third moon." You can also ask, "Sing me a lullaby." However, if you're expecting some long, soothing refrain that will ease you to sleep, Siri's response will come as a disappointment: "Hush, little Simon, don't say a word." No one likes that one friend we all have who quotes films and TV shows ad nauseam (it's usually me), so if you're looking for questions to annoy Siri, the silver screen is one of your best sources. That said, Siri does enjoy playing along from time to time, so long as your quote is familiar enough. For example, "Show me the money" (from Jerry Maguire) invites an amusing couple of responses, with "Does it make you feel good just to say that?" being a favorite. Another question that gets Siri's attention is "Siri Siri on the wall, who's the fairest of them all?" (from Snow White). Scared that she might suffer grave consequences if she answered otherwise, Siri offers the following assurance in reply, "Simon The Wonderful, you are full fair, 'tis true, but… No, you're definitely the fairest one of all." Given that a personal assistant like Siri was once the stuff of science fiction, it's fitting that she's particularly receptive to quotes and questions from sci-fi movies. If you ask her to, say, "Open the pod bay doors" (a reference to 2001: A Space Odyssey) one of her replies is: "Without your space helmet, Simon, you're going to find this rather… breathtaking." Other questions involve references to Star Trek ("Beam me up Scotty"), Star Wars ("I am your father"), the Matrix ("Should I take the blue pill or the red one? "), and Ghostbusters ("Who you gonna call?"). There are also a variety of miscellaneous questions and references you can quote to Siri. For example, if you repeatedly ask, "Who's your daddy? ", she's likely to reply in frustration, "You are. Can we get back to work now?" What makes Siri mad more than anything else? Well, referring to her by the wrong name – particularly a name belonging to one of her main rivals (e.g. Cortana and Alexa) – is probably the biggest sin an iPhone user can commit. Greeting her by saying "Hi Alexa", for instance, is sure to invite a snarky comeback in response. Inviting her to prefer another tech company over Apple is also not the best idea ("Which company is better, Apple or Google?"). Similarly, referring to her as "Jarvis" – Iron Man's A.I. assistant – will attract an interesting response: "I'm afraid I can't help you make a flying suit, Simon." Forget the Keyboard! Activate Your Mac's Siri Using Your Voice!